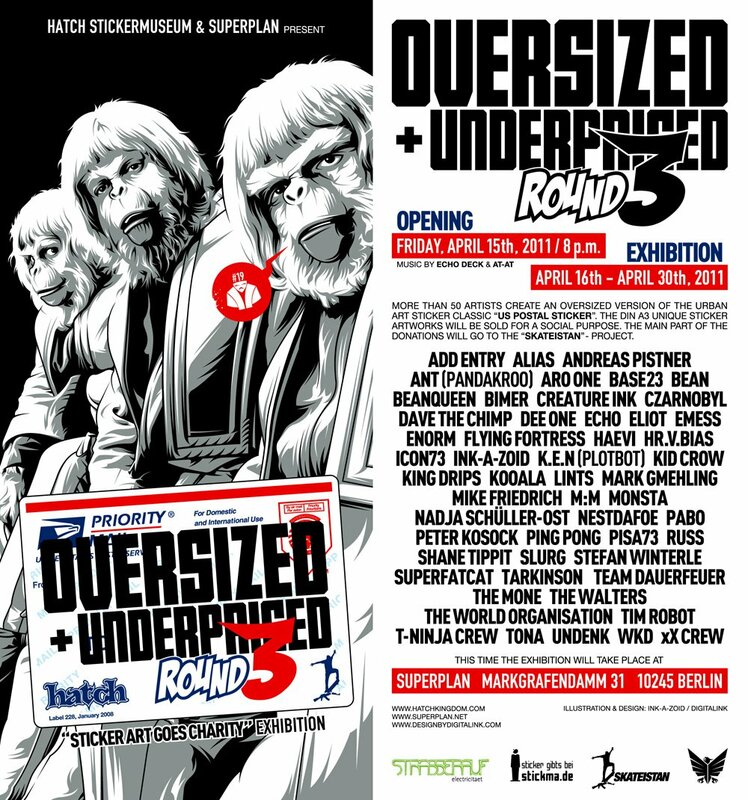 Via Facebook: „Hatch sticker museum and Superplan have joined forces to present the 3rd round of „Oversized + Underpriced“. An oversized version of the legendary US postal sticker will be lovingly customized by more then 50 artists. Music by Echo Deck and AT-AT. Most of the proceeds from sold artwork will be donated to Skateistan. Yep, it’s gonna be great.